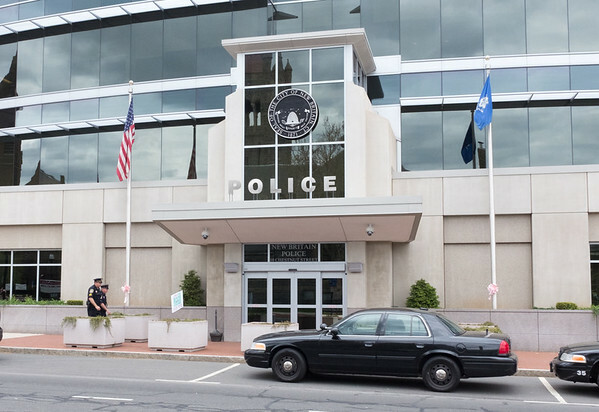 NEW BRITAIN - A New Britain woman had her bond reduced from $500,000 to $75,000 in New Britain Superior Court Friday, but not to the amount of $25,000 that she had requested. Jehona Bajrami, 25, is charged with home invasion, conspiracy to commit home invasion, first-degree burglary, second-degree assault, second-degree larceny, stealing a firearm and first-degree reckless endangerment from an incident that occurred on Nov. 6. Police allege Bajrami and two other females, who were invited over to a city man’s Beaver Street apartment that night, had a premeditated plan to serve the man alcoholic beverages mixed with Xanax pills so he would become unconscious and they could steal from him, the warrant for Bajrami’s arrest said. A 9mm gun and jewelry worth about $5,000 were reported stolen from the apartment the morning after the three females and the victim hung out, the warrant said. One of the other two females is referred to as a juvenile in the arrest warrant. Bajrami’s attorney, public defender Sandra Crowell, asked during the appearance that client’s bond be lowered to $25,000 because of her inability to pay for any amount greater than that. Crowell also cited that Judge Joan Alexander, who had previously seen the case, said Bajrami would have the right to bond review after Crowell reviewed the whole file for the case. Crowell also said there was text message evidence that one of the other females involved, Makayla Perez, had a plan to rob the victim. Perez was also seen with a blue pill, Crowell said. Xanax comes in the form of a blue pill depending on its strength, according to webmd.com. Bajrami is a permanent resident of New Britain from Albania who is living in New Britain with family, works at a hospital and does not have a high school degree, Crowell added. Bajrami would be monitored by adult probation, Crowell argued. The state prosecutor for the case said she strongly objected to the reduction, saying the victim may have invited the women over but he did not consent to be drugged and robbed. Bajrami is exposed to 10 years in prison as a mandatory minimum, the prosecutor said. Bajrami was cooperative and the other two females were trying to “get her to take the fall,” the prosecutor said. Judge Julia Dewey said she recognized the arguments from the defense but there is probable cause determined in the case and that financial ability to post bond is not the only criteria when setting bond. Dewey ultimately ruled the bond be set to the lowest amount of the three involved in the case, which was $75,000. If Bajrami does post bond, which must be done at court only, she will be ordered to comply with an electronic monitoring system while on 24/7 lockdown at her residence. It was not immediately clear what the status of the cases for the other two females was, other than both of them had bonded out, according to the bail commissioner in court Friday. Posted in New Britain Herald, New Britain on Friday, 12 April 2019 20:20. Updated: Friday, 12 April 2019 20:22.